If you have ever bought a hi-fi or digital TV, the chances are you bought it from Richer Sounds, the UK’s biggest hi-fi retailer. Ever wonder how the company achieved the No.1 slot? 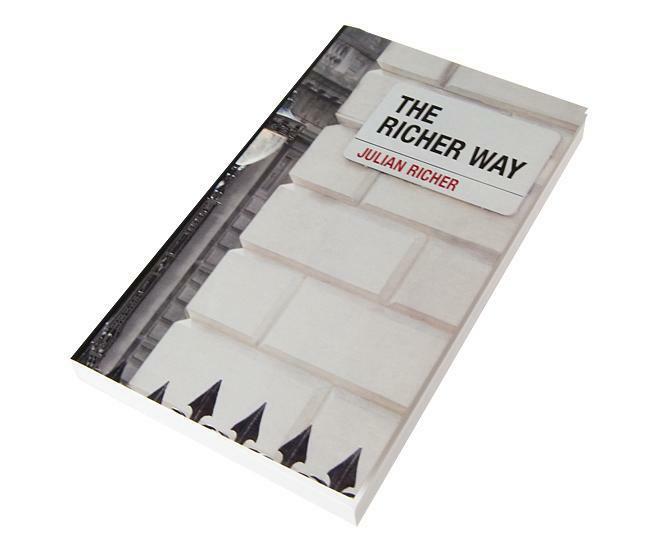 “High fidelity: Julian Richer rewards staff loyalty with holiday homes and trips on the company jet. Next? He’s planning their inheritance…” That was the eye catching headline in the Independent recently. The article went on to ask, “Why can’t all bosses be like Julian Richer? I’m not going to beat about the bush here: I think Julian is great. If I had to hold up someone as a role model for other wannabe tycoons to follow, the founder of the Richer Sounds hi-fi chain would be that person… So what earns him this accolade? The way he treats his staff, the fact that in surveys 95 per cent of them say they love working for him. And then the way his approach translates into tangible results: 52 stores that produced profits of £6.9m from sales of £144.3m last year in an austerity-hit economy, and helped him to build a personal fortune estimated at £115m. Based in what property agents refer to as the “secondary” shopping streets – the tattier end – his shops, full of in-your-face Day-Glo posters, have won awards galore for their levels of service, and achieved sales unheard-of in the electronics industry. For years, his first store, opened at the age of 18, near London Bridge could claim to have the highest sales density per square foot of any store, anywhere in the world. It was no surprise to hear Richer, aged 58 in March, still holds 100 per cent of the company he started 38 years ago. However, he has formed a trust for when he dies so that the business becomes a mutual like John Lewis, so that every staff member will receive an equal share. He calls his approach to business, the Richer Way. He provides free access to holiday homes in the UK and abroad (regardless of sales performance); trips aboard the company jet for those who suggest the best ideas; cash handouts for staff so they can go to the pub and brainstorm; the use of a Bentley for the store which does the best each month. His reasoning is simple: a happy workforce supplies good customer service, boosts sales, decreases complaints, and eradicates theft and absenteeism.” A wise investor in people. In our series on Church Membership, our theme today is “Giving financially to the work of the church” As we reflect on this parable of Jesus we will discover that our attitude to money, and how we invest our God-given assets, is shaping our own legacy. Indeed much more than that, – how we handle our assets is actually shaping our eternal destiny. Through this simple story, Jesus shows that we have a choice. We are either becoming a success in life or a failure in life, wise or foolish, and the way we handle money will make it obvious which we are becoming. Jesus is teaching the crowds when he is interrupted by a man who asks Jesus to solve a family dispute. ‘Teacher, tell my wretched brother to divide the inheritance with me.’” By the way it doesn’t say the word ‘wretched’, I put that in, I think that’s what he means. You know what they say, don’t you, where there’s a will there is a family. That’s what’s going on here, isn’t it? Two brothers falling out for good, over money. Like many of us today, their relationship is coming to an end over who’s going to get Granny’s sideboard and clock. Rabbis were expected to help settle such legal matters, but Jesus refuses to. Why? Because He is being asked to side with one brother against another. He knew that neither recognised their real problem. The real problem for both was covetousness. (The “you” in Luke 12:14 is plural.) As long as both were greedy, no settlement would be satisfactory to either. Their greatest need was a change of heart. Like many people today, they wanted Jesus to serve them but not to save them. Jesus tells this story to help us distinguish success from failure. To discern the difference between wisdom and foolishness By the world’s standards this individual was very successful. Very wealthy. He had it made. He could retire early and quit the rat race. And yet God says ‘you are a complete and utter failure’. Quite shocking really isn’t it? Why? Because we are about to see Jesus defines failure. Failure is being successful in things that really don’t matter. People who are satisfied only with the things that money can buy are in mortal danger of losing the things that money cannot buy. Rico Tice speculates, “So this guy knows exactly how to work the EU subsidies… And in city terms I guess you’d see him commuting in from Sunningdale every morning, …. his wife shops at Harrod’s and Harvey Nicks. He’d have a house next to Ernie Ells on the Wentworth Estate, wouldn’t he? He’d be playing… the West course every Saturday morning. And the kids, well the boys would be at Harrow or Eton, the girl would be at Downe House. He drives an Aston Martin… He’s a very bright guy… a bright guy, he knows how to do it, take his advice, he’s no fool.” How would you respond to the wealthy man’s dilemma? Here was a man who had a problem with too much wealth! You may be thinking – I wish I had that kind of problem. If you inherited a fortune this week, you would no doubt ask the same question as he did, “What shall I do?” It was a good question to ask. What made him a fool was the way he answered it. The Fool’s Dilemma. he sees it’s definitely worth paying for a massive grain storage mountain. Bigger profit than normal this year, there’s no point in letting Gordon Brown get his hands on it, so he calls in his accountant and he works out how to invest it. … it’s amazing because he’s eventually able to arrive at, being able to say to himself, “You have plenty of good things laid up for many years. Take life easy; eat, drink and be merry.” So he retires early at 47. It’s just absolutely fantastic, he’s done it. Left school aged 18 and said, ‘I want to retire by my mid-forties,’ and he’s done it. He’s retired early. And doubtlessly the Sunday Times colour supplement would run an article on him entitled, “The Man Who Knew When To Stop.” And those people slogging it out, commuting into the city, they’d read it and they’d say, ‘Very wise, very wise.’ And … he’s now trying to get his handicap down to single figures, he wants to get down to single figures on the West course at Wentworth, now that’s a battle. So he’s going to try and shoot under eighty every time as he goes out. And … down in Sandwich he’s built the most fantastic holiday home, wonderful, overlooking the bay.” ‘Take life easy; eat, drink and be merry’ Isn’t that the motivation behind many a pension plan or saving scheme? Isn’t that the assumption behind the glossy holiday supplements that intentionally fall out of your Sunday paper so you have to pick them up? People say that money does not satisfy, but it does satisfy if you want a particular lifestyle. The Fool’s Dilemma, the Fool’s Decision. Rico once more, “The retirement party has come and gone, it’s a lovely Sunday afternoon in the summer at Sandwich. The sun’s sort of bouncing off the water, it’s a beautiful day. His wife is with the staff clearing up in the kitchen. He’s got a long cool glass of orange … in his hand. He’s standing on the veranda looking out over the bay. The congratulations from his friends are ringing in his ears, they’re saying, ‘we saw the article; I don’t know how you did it. We’re going to have to go on working for years, you’ve made it.’ And he looks down and there are holiday brochures on the little side table behind him. There are safaris, there’s skiing, he doesn’t know, … Aspen, Verbier, Val d’Isere… and he looks out and he sees his boat, and he looks behind him and he sees the wonderful house he’s built, and he looks across, he can see Sandwich and the golf course, and he says to himself, “You’ve done it! You’ve made it! You’ve retired early. You’ve plenty laid up for years and years and years. Take life easy: eat, drink and….” and suddenly, there is a searing pain in his chest and he is dead before he hits the floor. ‘This is failure’ says Jesus. To be successful in the things in life that really don’t matter. I have yet to meet anyone who sets out to be a failure. I think we would all really like to succeed. But Jesus says he was a failure. He was a failure because he was not rich toward God. Rico points out, “we don’t know much about this guy, we don’t know if he was a good husband or a philanderer, we don’t know if he was a good father or he beat his children. All we know is that at the end of the passage… he was not rich towards God. it’s very striking how self-centred he is, the pronouns, I, me or my, appear eleven times. “He thought to himself, ‘What shall I do? I have no place to store my crops.’ … ‘This is what I’ll do. I will tear down my barns and build bigger ones, and there I will store all my grain and my goods. And I’ll say to myself.’” He thought he was self-sufficient. He was actually self-centred.” The greatest tragedy is not what the man left behind but what lay before him: eternity without God. The man lived without God and died without God, and his wealth was of no good to him. God is not impressed with our money. We cannot buy our way into heaven. Wealth cannot keep us alive when our time comes to die, nor can it buy back the opportunities we missed. Jesus exposes the utter folly of investing in the wrong things, in things that ultimately don’t matter. What then is the right approach to wealth and possessions? Jesus said, “This is how it will be with anyone who stores up things for himself but is not rich toward God.” (Luke 12:21) Here is the answer. God does want us to be rich. “Rich toward God.” Notice Jesus is not criticizing saving. He is not condemning storing up. Just the reverse. Saving is warmly commended in Scripture. If we would have a proper attitude to possessions then we must first acknowledge, like the birds, that all things come from God. We will be grateful, thankful stewards of God’s good creation. Pledging is a way of saying “thank you”. Rich in thankfulness. The fool’s motive was “more is better”. Jesus says “Less is more. Learn to live simply so that others can simply live”. Even designer clothes cannot match the beauty of God’s creation and that includes you. Rich in thankfulness, rich in simplicity. “But seek his kingdom, and these things will be given to you as well… Sell your possessions and give to the poor. Wealth can be enjoyed and employed at the same time if we are generous toward God. And by the way, one more thing about Julian Richer. Julian is a committed Christian. He sees it as only natural that those who have contributed to his company’s success, the staff, should inherit it. He also tithes 15% of company profits to a charitable trust. He was the first patron of The Big Issue Foundation and an early director of the Prince of Wales’s Duchy Originals. He is the founder of Acts 435, a charity launched by Archbishop John Sentamu to help those in need, and of another charity, ASB Help, which cares for the victims of antisocial behaviour. And when did Julian begin his business? Aged 14 while still at school. We are never too young or old to be a wise investor. Your giving is part of your inheritance to others, an investment in the Lord’s work in and through Christ Church. An inheritance for those who are being saved both here and elsewhere through our mission partners. A foolish or a wise investment? You decide. This entry was posted in Bible, Sermons, Theology on February 12, 2017 by Stephen Sizer.